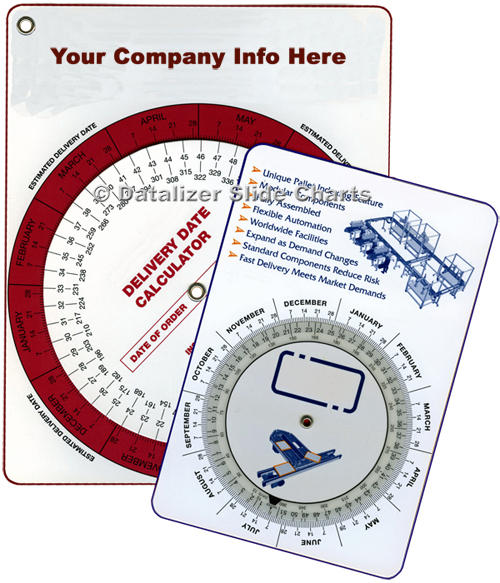 A Delivery Date Wheel eyeletted to a rectangular card base. Lots of extra room to promote your products and services. Contact Datalizer for samples and design ideas.